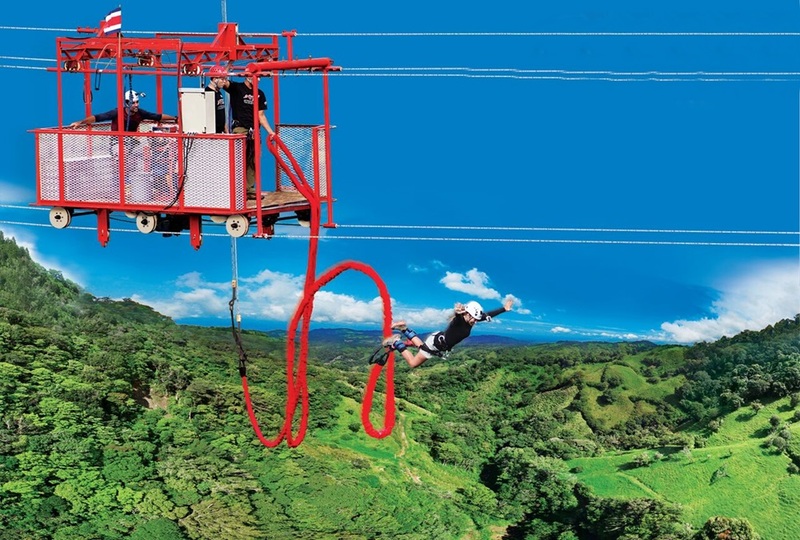 Jump from a moving tram on cables hanging in a valley at a height of 450 feet. 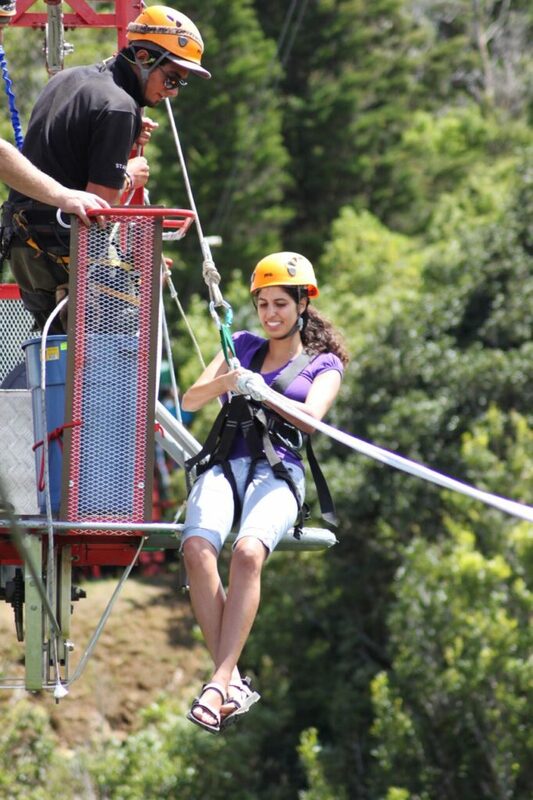 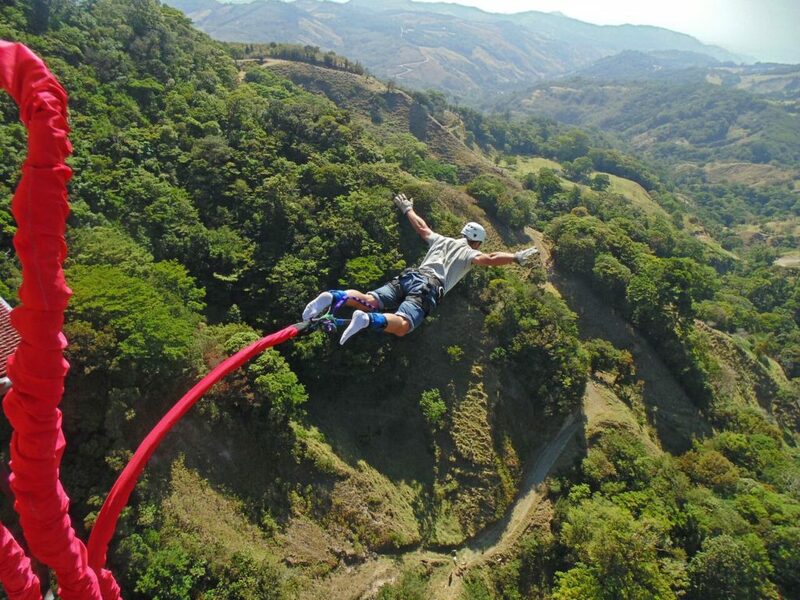 The Bungee Jump in Monteverde Extremo at 143 mts. 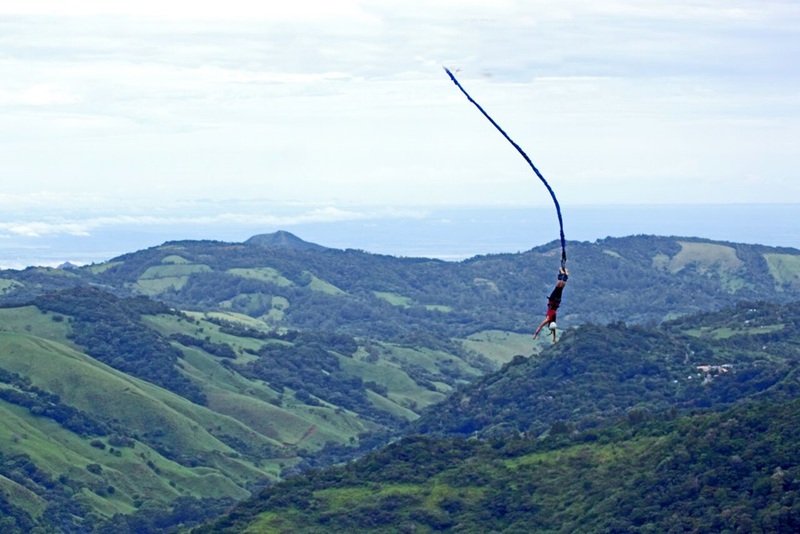 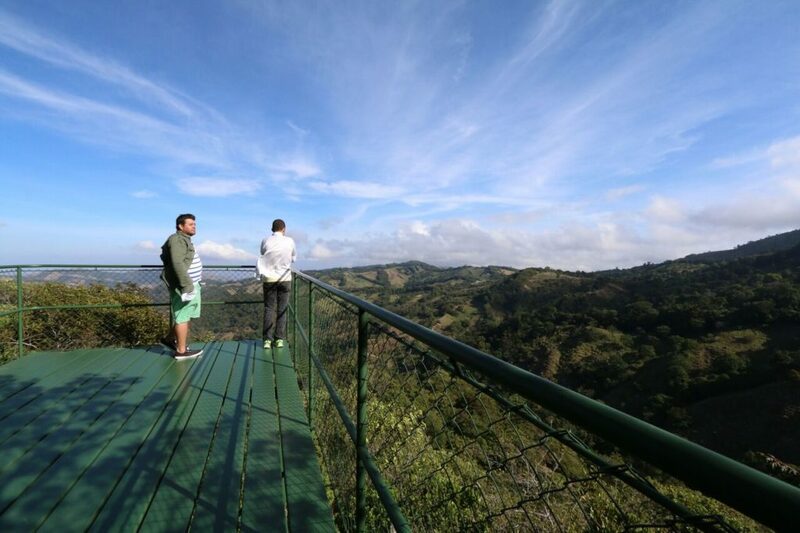 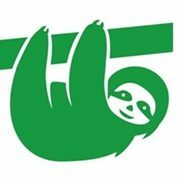 is listed as one of the best sites that Costa Rica has, not only for its fall of 80 meters deep (265 fts), that places it among the highest hanging platforms and best for this sport; but also by the lush scenic beauty of the canyon that makes it the ideal place to get some good photos of the jumpers who show that the place is 100% adrenaline, unfit for people with heart problems. 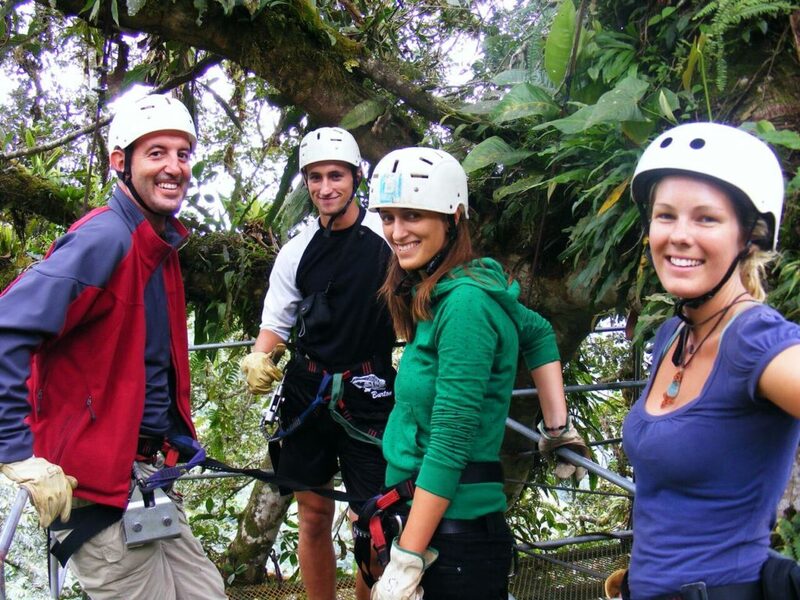 Booking online and get an Instant confirmation / Show your confirmation to the operator Click Here.